another project off the list for little man’s room. but Sebastian’s room is pretty small. After much thought, I decided the perfect place to read would be his bed. It’s roomy, cozy and great spot for night time bed stories. The only thing that this space lacked was some reading light. 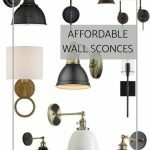 I started shopping for some swing-arm lamps. I had finally decided on some from Pottery Barn Teen. 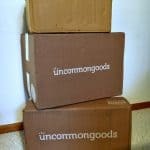 They were on sale (score) and I had a coupon for free shipping (double score). But for some reason, I just kept hesitating. Then one day, an idea hit me! which will include new bed side lighting. 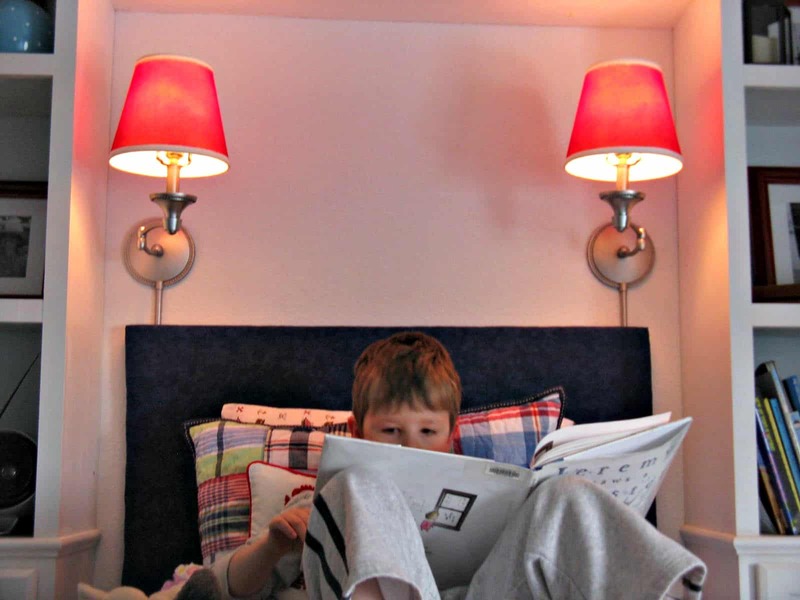 I could just use the swing arm lamps from our room, duh! and they would need some new shades. to perfectly fit in the Pirate themed room! taping off the light bulb sockets and some of the cord. 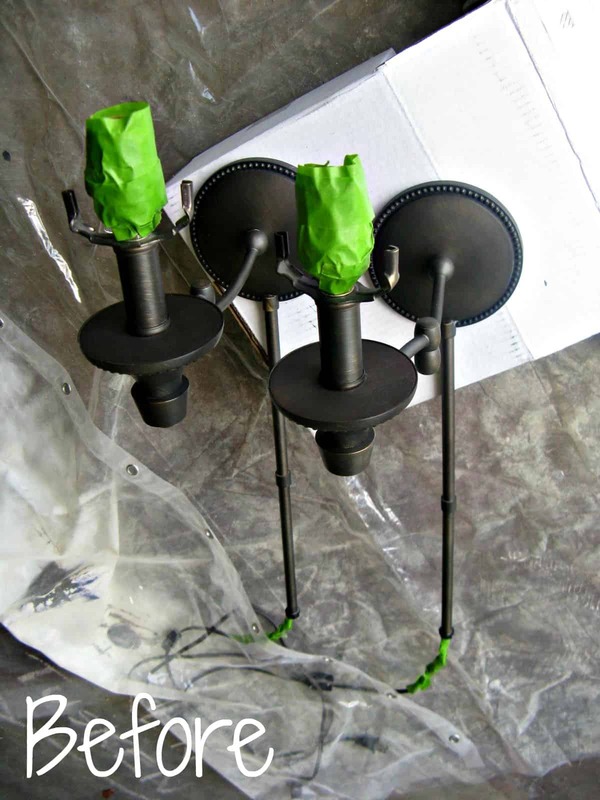 I then applied a few coats of my Rust-oleum Metallic spray paint. 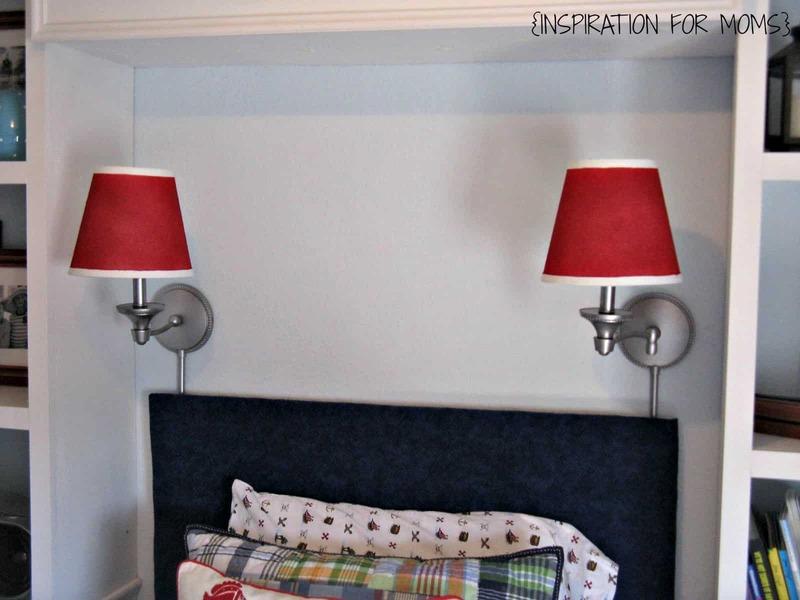 Super simple and it totally changed the look of the lamps. You would never know this wasn’t the original color. Next it was time to move on to the new lamp shades. For this transformation I needed some paint and a couple new shades. I thought it would be neat if these lamp shades coordinated with my new Roman shade. So I got to thinking that maybe I could leave the rims white. Reaching for my Frogtape once again and got to work. I figured I would experiment with one shade first to see if I liked the look. So I went on and finished the other shade to match. All that was left now was to install the new lamps on the wall. 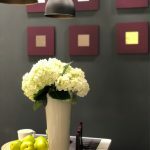 Doesn’t the new color on the lamps look great? They fit perfectly behind the custom headboard. before it even got dark outside? I think the lamps turned out great for only spending about $20 bucks. Little man loves his new lights. Want to know how I know? Wonderful job! The lamps turned out great! 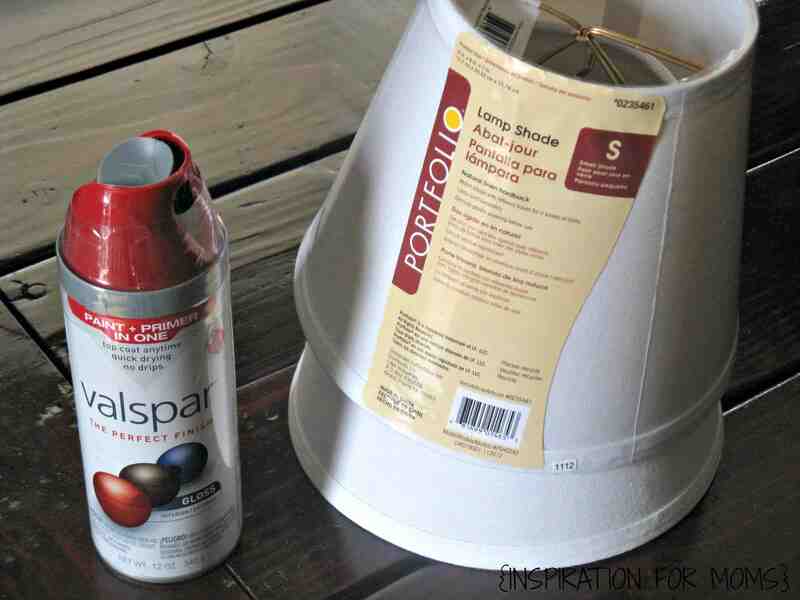 I want to do this, but I worry about the heat with the paint. What’s your thought on that? What a clever idea…I can’t wait to try this! Thanks so much for sharing the tutorial. Ah! I was JUST looking at my lamps and thinking they need an update. I was thinking fabric, but PAINT! Who knew. Do you think it would look nice/even with textured shades? my only concern! If I paint them, I’ll let you know. Thanks! LOVE IT! And so much thriftier a solution!! Turned out so cute, and your son’s room is precious. Pinning this idea so I remember it later 🙂 🙂 So glad to have found you!! What a great idea! 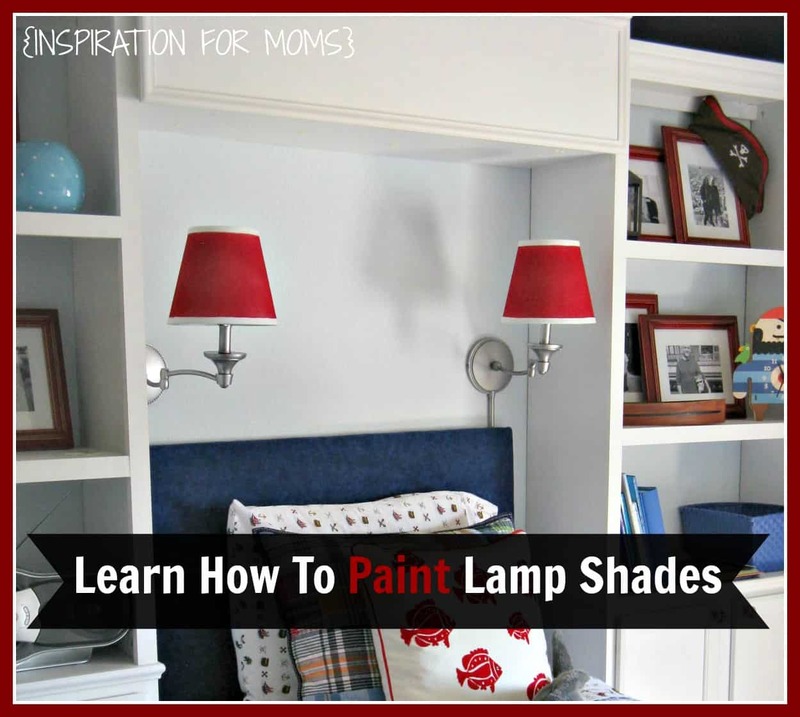 I never would have thought to paint lampshades! Those came out gorgeous! 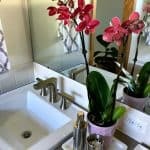 Thank you for linking up at Sunday Features. Sharing on FB today. Love this! This is so valuable! I have painted lamp bases, but never the shades! 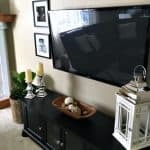 Next time I see a shade with good bones, but the wrong color, I will know what to do! Thanks! Those are so cute! How long did it take you to finish the whole project? I’ve got some terribly stained lampshades that I was thinking of painting…this may just be what can convince the Husband! Thanks, Leslie! It only took me a few hours (allowing drying time in between coats)! Good luck and let me know how they turn out. I needed this! Thanks for sharing with the Thursday Blog Hop! Pam@over50feeling40 recently posted…I MATTER Over 50 and Beyond…Plus the Thursday Blog Hop! What a great idea! I love how they came out! 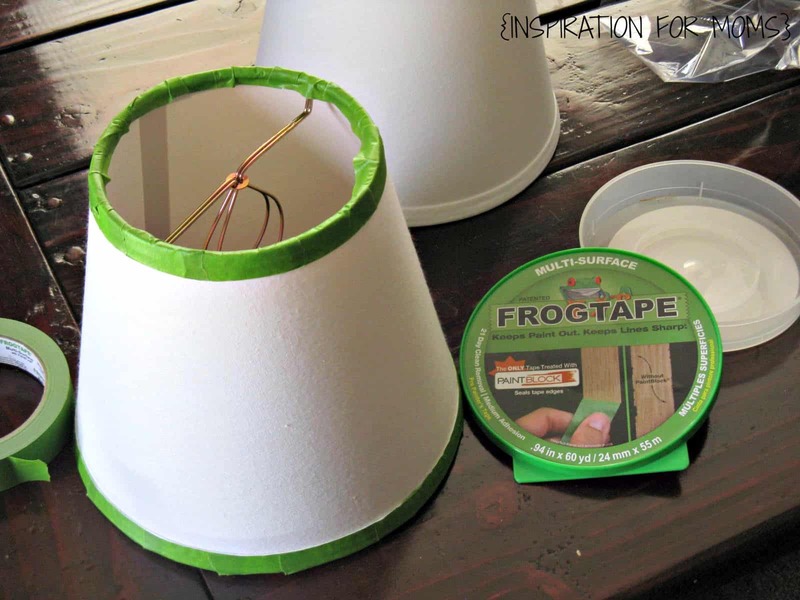 Thanks for sharing your project with us at Foodie Fridays and DIY…pinning and sharing! 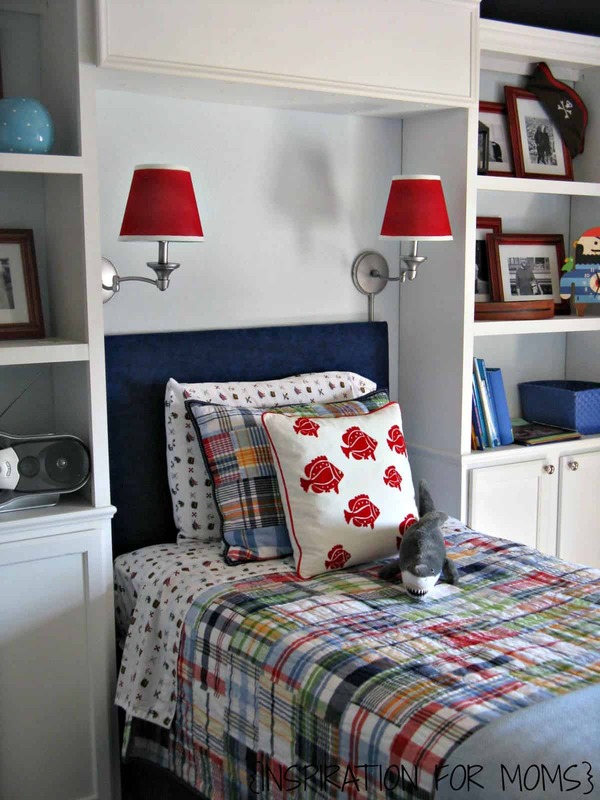 The lamps look great… so nice w/the room. how neat! 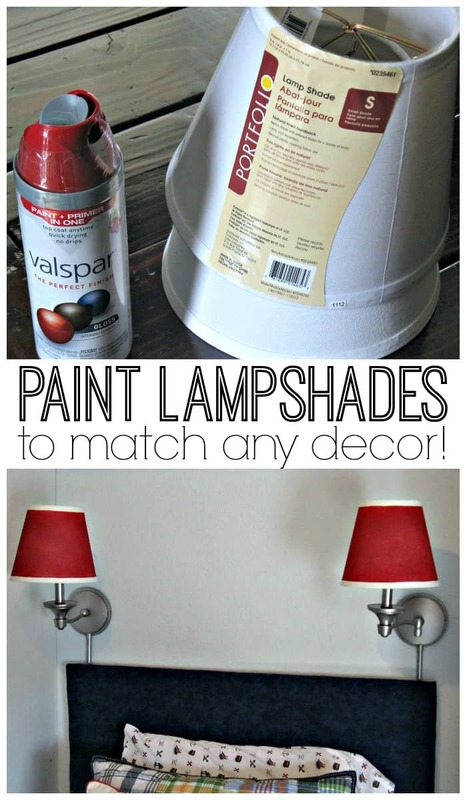 It never occurred to me you could paint lampshades but why not?!?! 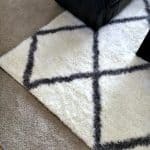 so brilliant and an easy way to set a mood, match your decor or just add a pop of color! I might have to test this out on a few shades here……Thanks for sharing with Snickerdoodle Sunday! This was super helpful. Your explanation looks so simple. Thank you so much for the inspiration! 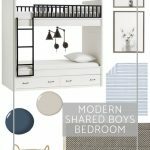 Great job, and so happy to have another chance to feature your fantastic boy’s room makeover, wanted to feature it last week but was too rushed to find a spot where it worked…..hopefully this week I will and thanks for sharing on craft schooling Sunday! How Ironic! My wife was just asking me about painting ours a couple of weeks ago… I was like you can’t paint them! Well I stand corrected! I love this!! It’s such a great and simple idea. 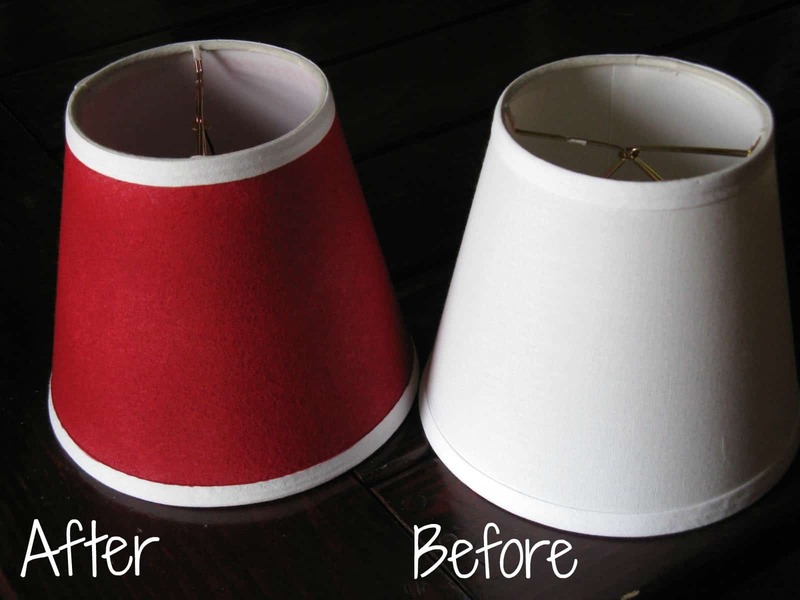 I’ve never thought of spray painting lampshades but this has changed now 😉 Would love to see you at my craft party which is new Thursdays at 7pm EST. We pin every instructional post!! Have a great weekend! So glad I found this on Sunday best, I have a few shades that can use a new look. Thanks for share just pinned. I tried painting a shade once and mucked it all up! Thanks for the hints and instructions! And thanks for joining us again at Throwback Thursday! !